In healthcare, collaborative systems serve very different stakeholders: researchers, clinicians, nurses, patients, and administrators for instance. In order to design a collaborative healthcare information system that satisfies the stakeholders' needs, all individual requirements have to be mapped into the software. Traditional system design focuses at technical features and oftentimes ignores social requirements like human factors or organizational structures. Instead of integrating existing processes and working habits into a system, a technical-focused design approach tries to force new behaviors. As a result, stakeholders could refuse to use collaborative healthcare information systems. In line with Kuutti (1991), we recommend activity theory as a rich framework to study and design collaborative information systems. We believe that activity theory analysis is particularly useful for healthcare settings where diverse stakeholders pursue very different goals. This book chapter offers a structured approach to analyze collaborative activities and to design the IT-support accordingly. The development of collaborative healthcare information systems is a very complex but promising undertaking. Numerous collaborative activities can be optimized by information and communication technologies. The increasing digitalization of those activities and processes results in time saving, error reduction and most important it enables the analysis, evaluation and knowledge creation of the collected data. 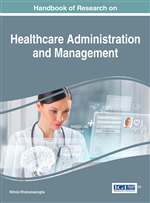 Healthcare information systems can improve and support patient safety and avoid medical errors (Baxter & Rooksby, 2011). To date, all OECD countries recognize the opportunities of those systems especially in the light of access, quality and value facing healthcare delivery (Wickramasinghe & Schaffer, 2010). However, system failures can lead to damages with serious consequences. A significant example is the failure of the dispatch system of the London Ambulance in 1992. Up to 30 people died because of technical problems. The system was not able to address and support the established practices of dispatch. This example shows that development approaches for collaborative systems in healthcare need to focus on both: technical aspects and work practices (Baxter & Rooksby, 2011). In order to raise the aforementioned potentials, the major challenge is the design of such collaborative systems in healthcare due to the diverse stakeholders and complex work practices. Traditional system design approaches often target at technologically driven features. This means, instead of existing processes and work habits forming the system, the design approach tries to push new behaviors (Sawyer, 2013). It is widely acknowledged that adopting a socio-technical approach to system development leads to systems that are more acceptable to end users, delivers better value to stakeholders and overall value to the company. Despite this knowledge, there is a lack of theories and methods which consider human, social and organizational factors (Sawyer, 2013; Whitworth & Ahmad, 2014). In order to design effective systems, it is not sufficient to only understand the process in general, but it must also be clear how the various stakeholders interact and what motivates them to strive for the joint objective (Sadeghi, Andreev, Benyoucef, Momtahan, & Kuziemsky, 2014a). One attempt to narrow the so called socio-technical gap is provided by Kuuttii (1991). He suggested to employ the concept of “activities” - originating from activity theory - as basic unit of analysis for collaborative information systems design. He argues, that the properties of the activity concept correlate well with the characteristics and social requirements of collaborative activities (Kuutti, 1991). Applying activity theory analysis helps to understand the work practices of all stakeholders involved in the activity and how these individuals interact with technological and non-technological artefacts. With creating and analysing an activity system it is possible to obtain a complete overview of an activity. This overview can not only be used to uncover contradictions between components of the activity systems (e.g. a nurse has problems to work with certain tool) but also to have deeper insights into the activity system e.g. the number of stakeholders, the objectives that are motivating the individuals to fulfil an activity, or the number and quality tools used. The results can be used for both analysing an activity and capturing requirements for collaborative healthcare information systems. The remainder of the book chapter is structured as follows: After presenting the theoretical background of activity theory, we discuss related work on the application of activity theory in healthcare. Based on this foundation, we propose a guideline to use activity theory for the analysis and the design of collaborative healthcare information systems. The book chapter closes with concluding remarks, pointing to areas of our future research.